When it comes to purchasing a vending machine, the money is made when you buy the machine. This is contrary to what you may read elsewhere claiming this business is all about location, location, location. While having a profitable route is critical for success, machines acquired at al lower cost will net profit faster. You should think of the investment in a machine sort of like buying into the stock of a publicly traded company. 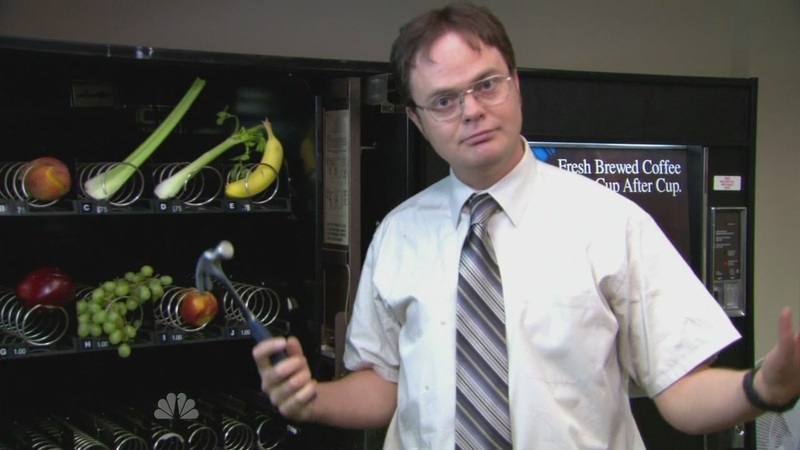 Of course you want to do your homework to make sure the the company (or vending equipment in this case) is a sound investment and has a strong balance sheet. Assuming the stock passes your test, you also want to purchase the stock low so that you will make a larger profit. That’s similar to the way the vending machine business will work. Sure, you can buy a fancy machine with all the bells, whistles, and maybe even a television screen. But if you have to pay $20,000 for a machine, you’ll need to be selling sodas for years just to break even on the deal. We don’t want you to have to wait this long to realize a return. For the majority of this post we will explore, we will outline places you can buy used vending machines at steeply discounted prices over newer models. Each of these sources allow you to frequently find pre-owned soda, snack, or vintage candy machines so no matter what type of business you plan to build we’ve got you covered. UsedVending.com – This is the ultimate resources for finding just about any type of vending machine for sale on the planet and allows you to conduct searches based on price, location, and type of vending machine or vehicle. What UsedVending.com does is connect seller’s with buyer from around the United States and published information like photos, dimensions, and other specs from the equipment. If you’re just beginning on your search for a snack machine, look for equipment within driving distance of your home base. This will help reduce costs and is the best place to begin the search. CraigsList.org – If you’re willing to put in some time looking around, CraigsList.org can be a good way to find a deal in your area. Quality vending equipment won’t be available 24/7, but you can snag some deals from time to time assuming you’ve got patience and a little luck. One thing to remember with a website like CraigsList.org is that there’s typically a bit a wiggle room in the final price of the machines. Often, anyone that’s selling here is looking to “offload” the equipment and are basically trying to get anything they can for machines. This creates the perfect situation for you to buy low! Sam’s Club – Believe it or not, you can buy some pretty affordable soda and snack machines through the big box retailer. Most of these are entry level, more generic types of soda and snack machines. The entry-level price points aren’t too bad and the return policy is rock solid if you want to return the equipment within a reasonable time period. One of the nice little known benefits of Sam’s Club is that you can also have supplies shipped to your home for free. No need to run to the store for sodas or candy to replenish. CandyMachines.com – If you’re looking for an entry point into the vending machine business but don’t have a lot to spend, CandyMachines.com is a quality option. CandyMachines.com only provides new machines that dispense items like gum balls, peanuts, and other novelties such as temporary tattoos. Some of the most popular products available is the triple pod. This offers three different candy options in one machine and starts at under $800 to purchase. You can learn more about this business model in a previous interview conducted with the company here. eBay / Amazon.com – Between eBay and Amazon.com you can find just about any product that’s ever been created. One of the nice elements of going the Amazon route to make a purchase is that you’ll find numerous customer reviews of the product you’re considering. These reviews can give you a realistic idea of how the machine will operate longterm. One thing to look out for on these websites is that certain gum ball and candy machines are designed for novelty, not business purposes that requires equipment that will stand up to wear and tear. 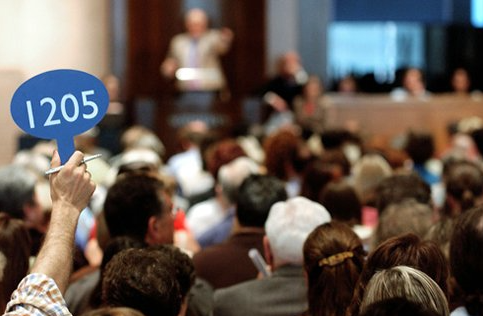 A safe rule of thumb is that if the price is under $200 it’s likely too cheaply made to be used for a business purpose. If you’re just purchasing to have it around the house that’s another story and it might serve the need just fine. Auction – Occasionally, you’ll be able to locate pre-owned vending equipment at auction. The only downside to purchasing in this way is that you often need to buy without testing the equipment first. The last thing you want to do is buy a bunch of machines that will frequently break down and require repair. Although the price could be low, repairing faulty equipment will be a never ending nightmare. One of the big benefits of operating a vending machine route is that it’s relatively passive and doesn’t require a lot of time once you get the foundation in place. If you buy “cheap” machines that break down frequently, the job will require a lot more time and energy. We hope this post has provided you with insight into the different options available for getting your hands on discounted vending equipment on sale. Remember, the lower the price you’re able to buy the equipment the sooner you’ll recoup your investment and start generating a profit. If you want to learn more about this business model, read out previous post on the different types of machines that are available. 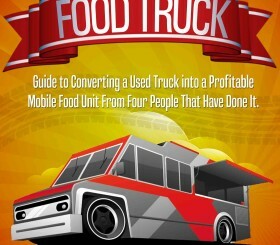 Serious about Starting Your Own Vending Business? 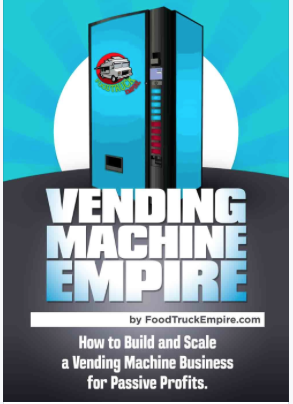 Purchase Our Execution Plan For Building Your Own Vending Machine Empire.